Slack users have long requested an update to Slack's emoji support. Now it's here, but there is a catch for some users. Reports of a gradual rollout of these new features have flooded into Emojipedia over the past few days, and today this emoji support arrives for the majority of users. Want to send a 🧟 Zombie, 🦖 T-Rex, or 🤮 Vomiting Face on Slack? Now you can with the built-in emoji picker getting an update as well as new :shortcodes: available for these additions. 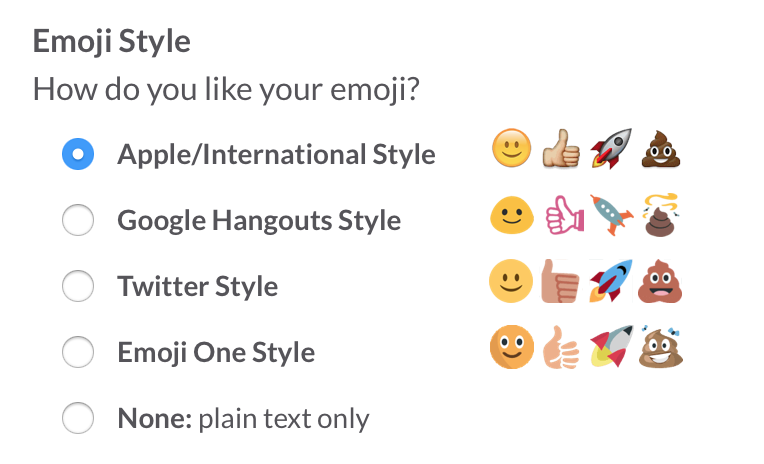 Above: You can no longer change emoji style in Slack. The new emojis now available in Slack cover everything released up to and including Emoji 5.0 in 2017. This also means all the updates from Emoji 4.0 in 2016 are also available in Slack for the first time. Above: Emoji 4.0 was released in 2016 and included these new emojis. This update was a long time coming, and a lot has changed in the emoji landscape since Slack first introduced emoji support. It's now standard that most human emojis have at least two gender options and five skin tone modifiers. Slack now supports all 2,666 emojis listed as part of the Unicode Standard. Users of iOS or macOS will see the least change to design in this release, as Slack previously defaulted to using Apple designs on all platforms. Apple's emoji designs remain the set displayed when accessing Slack on any Apple platform. Above: Google's emoji font is shown to all non-Apple users. While Apple's emoji font is entirely owned and copyrighted by Apple, Google's emoji font (named Noto Color Emoji) is provided with an open source license which allows other projects to use this within the terms set out in the SIL Open Font License. 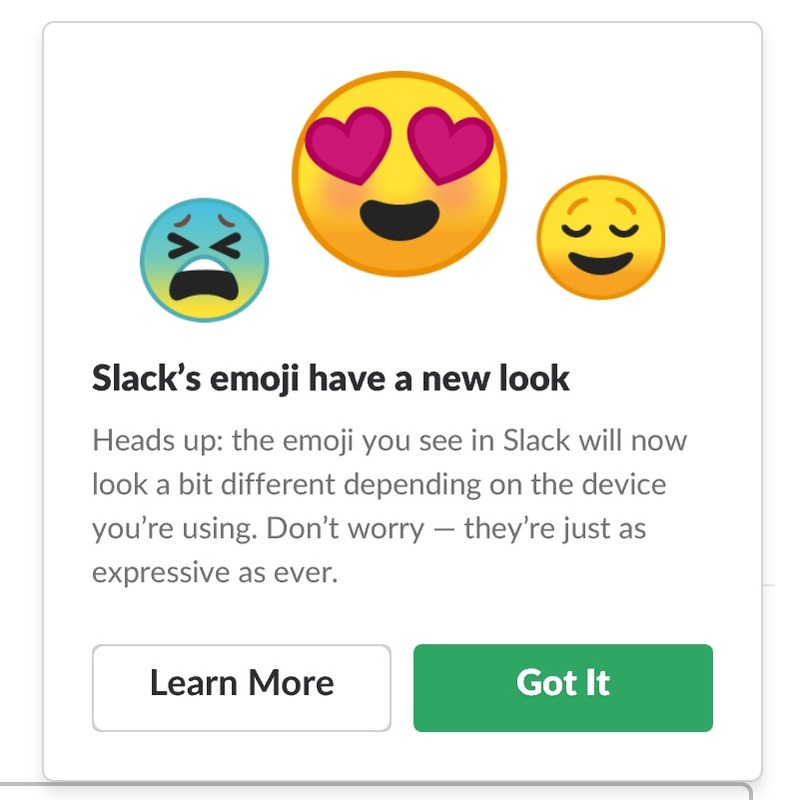 Given this, it's possible that Slack believes it is on firmer ground to be using Noto Color Emoji rather than embedding Apple emoji images on competing platforms. The result is that users all have an up-to-date emoji set, but it will look different between platforms. Above: A message sent from Slack for Mac (top) and how it appears now on Windows (bottom). This could be quite a change for those who had become attached to Apple's designs (or Twemoji, or EmojiOne, but it doesn't appear that those are coming back. I would suggest that a more useful feature for users might be to allow native emoji support as an option. Those on older systems may opt to use embedded images from Apple or Google (depending on OS), but those with an updated system would have the ability to use native emojis built from their own platform, such as those from Microsoft in Windows 10 Fall Creators Update. Overall, this update is a net-win for users. Before this release, users were stuck with not only an outdated emoji selection in Slack, but the prospect that newer emojis would appear correctly on iOS, but break into their individual components when viewed on other platforms. In particular, Slack no longer splits a gendered-emoji into two characters. Presumably, this new emoji implementation might mean that new emojis are supported quicker in future updates. And that can only be a good thing. 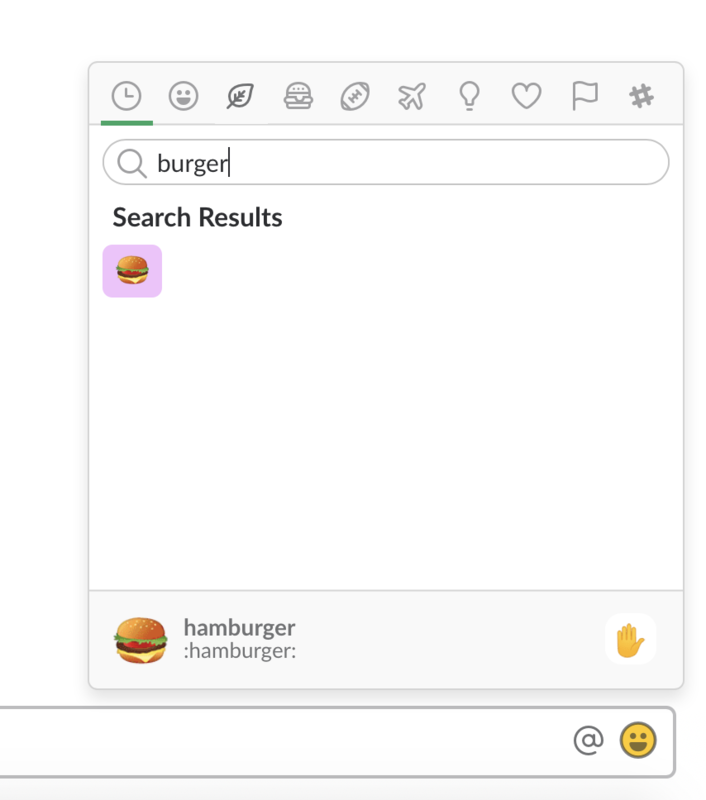 Update Feb 6, 2018: If using Slack in a browser, the emoji set appears to be dictated by the user-agent of the browser. Changing the user agent to a Windows browser will show the Google emoji set on a Mac, and changing it to a Mac will show the Apple emoji set on Windows. Anecdotally, it appears that a large number of Slack users already have access to this update, however this rollout is still taking place and will continue over the coming week.